Cardiff City boss Neil Warnock singled out 'elementary mistakes' as the reason for their downfall against Wolverhampton Wanderers on Saturday, singling out defender Sol Bamba after his error led to the second goal of the game. A stunning team goal opened the scoring for Wolves, with Portuguese forward Diogo Jota getting the final touch after clever link-up play with Raúl Jiménez and Morgan Gibbs-White. Jota then turned provider, putting the ball on a plate for Jiménez to fire past Neil Etheridge and double Wolves' lead in a quick-fire blitz for the hosts. "The crowd were getting nervous and within two minutes it is 2-0," Warnock said, quoted by Sky Sports. "It is like a record coming to speak to the cameras. They are just such elementary mistakes. They should not happen at this level. I can't really say any more. "I think three of our lads will be disappointed if you look at the [first] goal. It might look great from their point of view but from my point of view, I thought three of our lads were disappointing. "The second goal, Sol knows. That is what he used to be like. He has been magnificent. I can't criticise but he knows it is his mistake." Warnock added that Cardiff weren't getting the rub of the green from match officials, claiming there were a number of decisions including a potential red card for Ryan Bennett. Good turn around for Wolves from the horrendous performance on Tuesday, Nunos changes did wonders, the lads coming in all made fantastic showings. Fling it high and hope didn’t work for Colin today. Only Neil Etheridge kept that score line respectable. 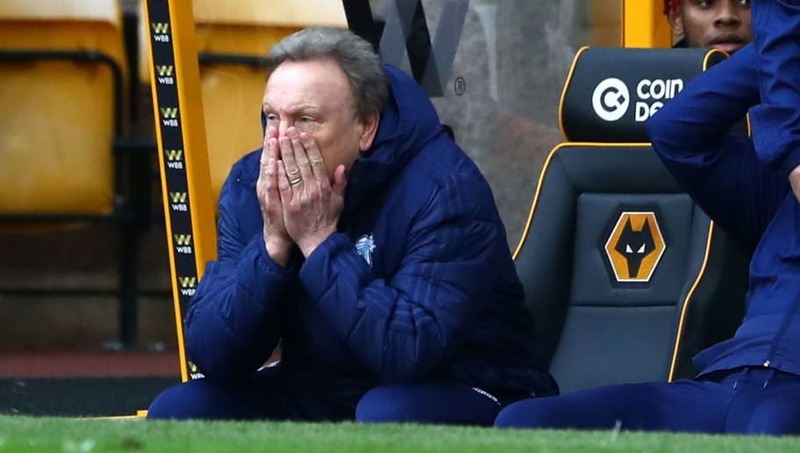 He stressed that his side would have to make their own luck if they want to stay in the Premier League this season, a fight which Warnock believes will be between Cardiff and Southampton. "Yeah [it is between Cardiff and Southampton], unless we get four or five wins which given the fixtures looks very difficult doesn't it? You've just got to keep positive," he added. "I can't fault the lads for the effort it is just disappointing the way in which we are conceding."